I'm a big fan of Accessorize. I find it odd that there's not really any other shop like it on the High Street, offering affordable, trend-led accessories. Having said this, I wouldn't think to buy foundation from Accessorize but I was recently sent a parcel of products from the makeup line to try. My first impression was how pretty the packaging is. Admittedly, you can tell it's budget but it's functional nonetheless and I like the fun, whimsical design. The foundation itself has quite a thick creamy formula that almost has a waxy quality. I found it smooth to apply albeit a little difficult to blend. I found there to be quite strong yellow undertones to the shade I was sent but it was a pretty good colour match. 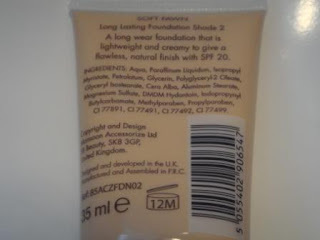 It's available in five shades: Sandcastle, Soft Fawn, Warm Honey, Wheat & Biscuit so not a particularly extensive range. For me, the finish is quite "done" so it's not one for those who like a very natural finish. 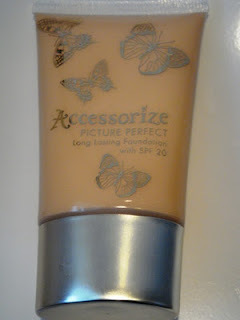 I found the coverage to be medium and I could feel it on my skin which might be due to the inclusion of SPF20. 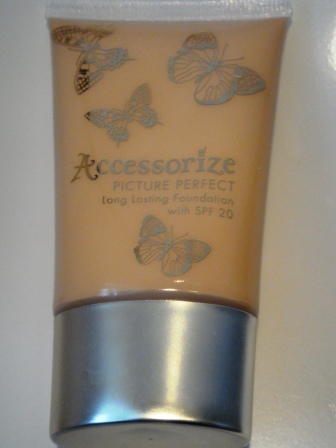 I liked the dewy finish it gave my complexion and I was impressed with the lasting results. 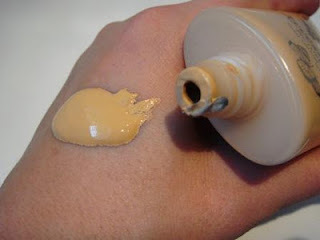 I'd definitely recommend checking this out if you're looking for a new foundation on a budget. It costs £8 which I feel is a fair price. On a final note, I was also sent the Collagen Mascara. I love discovering a fab new mascara and when I clapped eyes on this one, in its bright pink Union Jack packagaing, I had high expectations so I was really disappointed with the results which barely made any difference to my lashes. Hmm thanks for review as I am searching reviews before buying it, may be ill skip as I want natural coverage.